There are two basic categories of OBD-II scanners that you'll come across. OBD-II code readers are typically inexpensive, no-frills devices that can read and clear codes from any vehicle that is equipped with OBD-II. These devices have a few inherent limitations in that they typically lack any information on manufacturer-specific codes and offer limited (or no) access to other data. OBD-II scan tools are more expensive, and they can offer a variety of different features. Scan tools may provide more access to or information about manufacturer-specific codes, provide extensive, customizable access to live and recorded data and offer advanced troubleshooting information. What Can an OBD-II Scanner Do? The functionality of an OBD-II scanner depends on whether it is a basic “code reader” or a more advanced “scan tool.” Basic code readers can only read and clear codes, while advanced scan tools can also view live and recorded data, provide extensive knowledge bases, provide access to bi-directional controls and tests, and other advanced functionality. All OBD-II scan tools offer some basic functionality, which includes the ability to read and clear codes. These scanners can also offer the ability to check pending, or soft, codes that haven’t activated the check engine light yet, and provide access to a wealth of information. Data from virtually every sensor that provides an input to the onboard computer can be viewed via an OBD-II scanner, and some scanners can also set up custom lists of parameter IDs (PIDs). Some scanners also provide access to readiness monitors and other information. Since OBD-II systems are standardized, OBD-II scanners are relatively simple to use. They all use the same connector, which is defined by SAE J1962. Basic scan tools function by simply inserting a universal plug into the OBD-II diagnostic connector in a vehicle. Some advanced scan tools also include keys or modules that augment the universal connector in order to access or interact with OEM-specific information or controls. 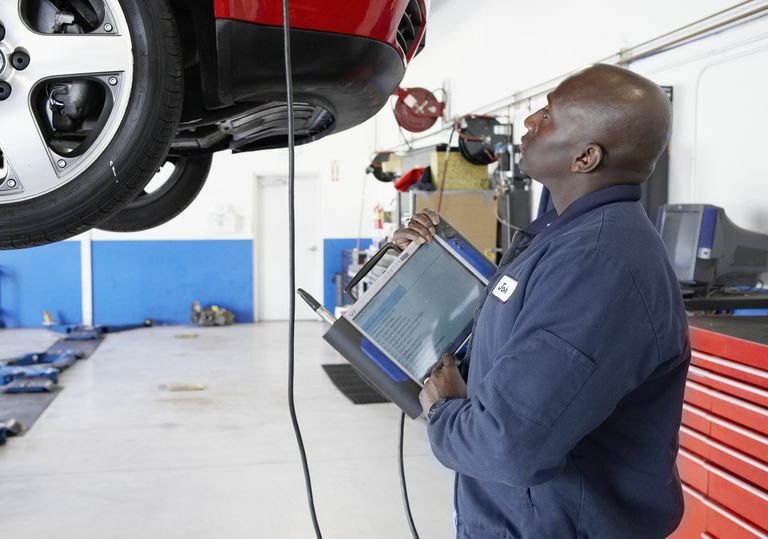 If you own a car that was built after 1996 and you do any kind of work on it, either to save money or just because you enjoy getting your hands dirty, then an OBD-II scanner can be a valuable addition to your toolbox. However, that doesn't mean that every backyard mechanic should head out and drop $20,000 on a high-end scan tool from Snap-on or Mac. Do-it-yourself mechanics have a lot of less expensive options to explore, so you'll want to check them out before you make a purchase. For instance, a lot of parts stores will actually check your codes for free, and you can find a lot of diagnostic information for free on the Internet. In a lot of cases, that might be all you need. If you want a little more flexibility, there are a number of cheap scan tool options you can check out. Dedicated code readers that also provide access to PIDs are one option to look at, and you can often find a decent one for under $100. Another option, particularly if you have a decent Android smartphone, is an ELM 327 Bluetooth scanner, which is a cheaper path to essentially the same functionality.